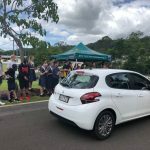 Our Year 12 graduating class from 2018 is now well into their first year post-MIC and life beyond school. 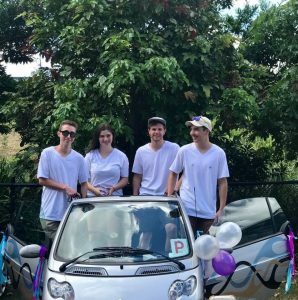 Three of our four Year 12s last year received Early Offers from University of the Sunshine Coast and are now studying toward their degrees, while the fourth member of last year’s cohort is pursuing her passion as an entrepreneur and artist. 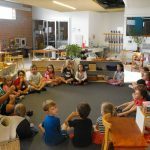 Ava Messina started her Montessori education at the age of 2yrs. 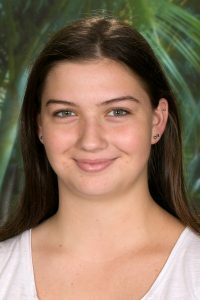 An artist at heart, she completed her Certificate II in Applied Fashion Design and Technology during Year 12, after which she renewed her focus on her drawing and painting. Bravely stepping into the world of entrepreneurship, she is currently developing her business and practice as an artist and has recently been working on amazing marble-like paintings and exquisite watercolour cards, which she sells online. Check out @macchiaarts on Facebook to find out more. Connor Murphy also started his Montessori education at a young age and always had a keen interest in law. Back in his first year in the Senior Phase, he presented a very compelling argument to Nick Harrison, our Assistant Principal of the Secondary College, to allow him to complete a self-directed Legal Studies course instead of music. 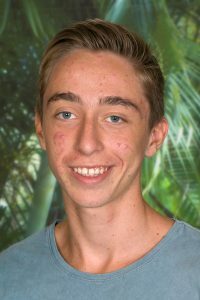 Since then, Connor has continued to pursue his interest, studying Justice and the Australian Legal System, a first -year University of the Sunshine Coast Law subject, and achieving a credit when he was still in Year 11. 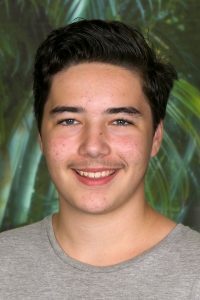 Connor is currently studying a Bachelor of Laws/Bachelor of Business at University of the Sunshine Coast. Riley Novella-Rasura, ever the entrepreneur, has always shown a knack for business and has been actively involved in many MIC fundraising activities and business ideas over the years. A thoughtful and effective leader, Riley has been a positive influence on his peers in the Senior Phase. He recently left his part-time job to pursue a more lucrative start-up of his own. 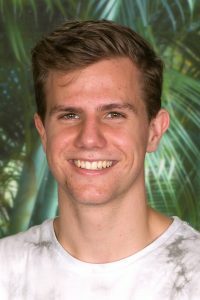 Currently studying a Bachelor of Business at University of the Sunshine Coast, Riley plans to complete his degree, then move to Brisbane to undertake further study. Watch out for Riley as a future business leader! Lachlan Wensley is a man of many talents. He has been talking about becoming a marine biologist for many years and has an affinity for the ocean. An avid surfer, he has maintained an aquarium for many years. He is also a wonderful photographer and filmmaker but his real passion has always been engineering and technology. This is an aspect of his program at MIC where he has thrived and Sean Nagy, our Technology Studies Guide, has loved supporting and guiding Lachlan as he has imagined, developed and produced many innovative and creative products. 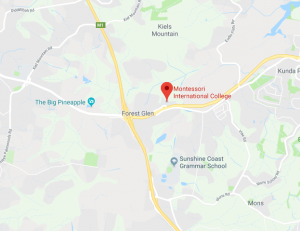 Lachlan has chosen to pursue this passion and is currently studying for his Bachelor of Engineering (Mechanical) with Honours at University of the Sunshine Coast. Graduates of 2018, we wish you every success for your future endeavours. We are proud of each of you and what you have achieved!